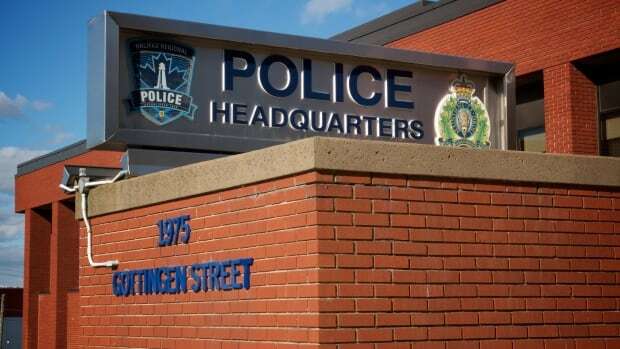 A new report released Wednesday on street checks and racial profiling by Halifax-area police found black people are six times more likely to be checked than white people in Halifax. The number is about double the CBC News estimate that triggered this review. The review comes more than two years after data showed black people were three times more likely than whites to be subjected to the controversial practice in the municipality. The independent report by Scot Wortley, a University of Toronto criminology professor, also found that police in the Halifax region do more street checks than police in Montreal, Vancouver or Ottawa. There were comparable rates in Edmonton and Calgary. The 180-page report also found the practice of street checks has a disproportionate and negative impact on the African Nova Scotia community, contributing to the criminalization of black youth. Wortley reported that black community members interviewed for the study said they are afraid of police, they feel targeted by police, and they are treated rudely and aggressively. They also said police treatment of black people has not improved significantly in the past 20 years. Wortley was hired by the Nova Scotia Human Rights Commission in 2017 after a report from Halifax RCMP in January of that year found that in the first 10 months of 2016, 41 per cent of 1,246 street checks involved black Nova Scotians. In what Wortley described as a “difficult statistic,” the report showed that 30 per cent of Halifax’s black male population had been charged with a crime, as opposed with 6.8 per cent of the white male population. Wortley said this likely means black people are more likely to be charged for the same behaviour than white people. The charge rate for black males with cannabis offences was four times higher than for white males, even though there’s no evidence that black people use more cannabis than white people. He said police street checks have contributed to an erosion of trust in law enforcement and undermined the perceived legitimacy of the entire criminal justice system. Wortley presented several recommendations including that street checks must be banned or at least regulated. Across Canada, the report found the average annual street check rate was highest in Toronto, with Halifax in second place. Despite an overall reduction in street checks in Halifax in recent years, Wortley says the over-representation of minorities has remained constant. Ontario banned police carding in specific situations in 2017 — a controversial practice that is similar to street checks. However, Halifax Regional Police Chief Jean-Michel Blais has argued in the past that the valid street checks performed by police officers in Halifax differ from the random stops or carding practices that are now restricted in Ontario.